A genre writer’s workshop in a bottle! Award-winning authors Michael A. Arnzen and Heidi Ruby Miller gather the voices of today’s top genre writers and writing instructors alongside their published students. Many Genres, One Craft fosters the writing process in a way that focuses almost exclusively on writing the novel. Using a compilation of instructional articles penned by well-known authors affiliated with Seton Hill University’s acclaimed MFA program in Writing Popular Fiction, the book emphasizes how to write genre novels and commercially appealing fiction. The articles are modeled after actual learning modules that have successfully taught students in the program how to reach a wider audience for over a decade. 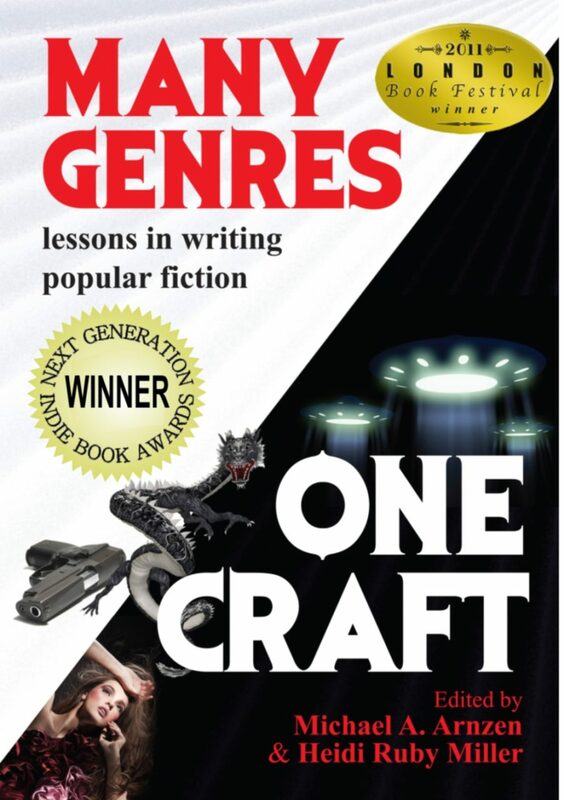 Award-winning and best-selling contributors from a spectrum of genres and literary careers offer their sage advice, including David Morrell, Tess Gerritsen, Victoria Thompson, Nancy Kress, Shelley Bates, Nicole Peeler, Maria V. Snyder, Jason Jack Miller, Thomas Monteleone, Susan Mallery, Catherine Mulvany, and over fifty other published authors, teachers, and alumni, as well as special guest agents and editors who have visited the program. Divided into three parts Craft, Genre, and The Writer’s Life the book provides advice on everything from point-of-view to writing media tie-in novels to marketing romance, all from writers who have actually done it.